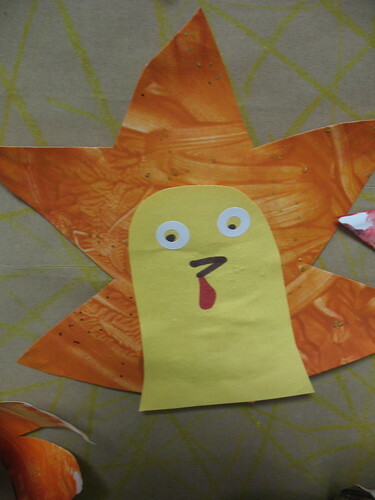 we finger-painted huge pieces of butcher paper (red, orange, brown and yellow) and once dry, cut it into leaf shapes. these hung from our ceiling and in the hallway for over a month…then it was thanksgiving time. i love projects that extend for weeks and months!